Hard-core Binary puzzles for lovers of logic. In the Binary logic puzzle, each square in the puzzle may contain either 0 or 1. No more than two adjacent squares may contain the same digit and no row may be the same as any other row nor may any column be the same as any other column. Binaries are as addictive as Sudoku. 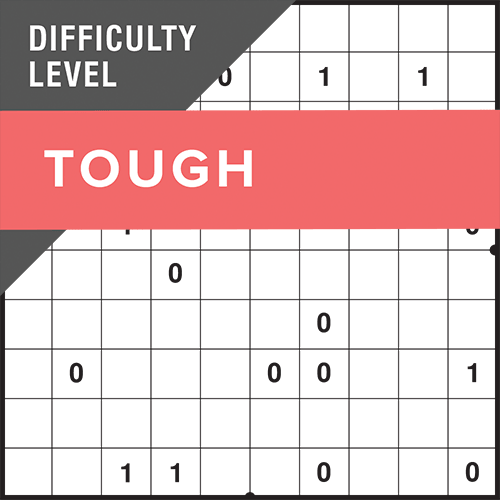 The Binary logic rules and some extra solving tips may be copied from the How to tab in each Binary puzzle view. The Binary logic rules and some extra solving tips may be copied from the How to tab in each Binary Pack view.